For 15 years, Alyssa taught at Stanford University as a Lecturer in Writing and Rhetoric. She bought a red carpet and had students give TED-style talks about crucial issues facing today’s global leaders. 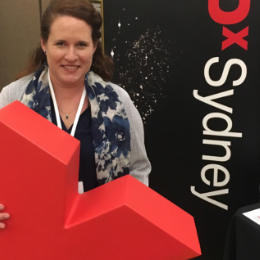 Now she is elated to be joining the writing team at TEDxSydney. She brings experience directing an international research study called the Cross-Cultural Rhetoric Project, where she led a team developing a curriculum in global learning, collaborative problem-solving, and communication through new digital technologies. Alyssa has presented her research in Australia, China, Egypt, France, Russia, Singapore, South Korea, Sweden and Switzerland. Her co-authored textbooks on how words and images work through marketing and persuasion are in revision for the 6th edition. She’s trading her academic gown for a career in town and could not be happier in her new home of Sydney.